Our school stood 2nd in the Palakkad District Sahodaya Complex in the AISSCE examination for the academic year 2017-18. 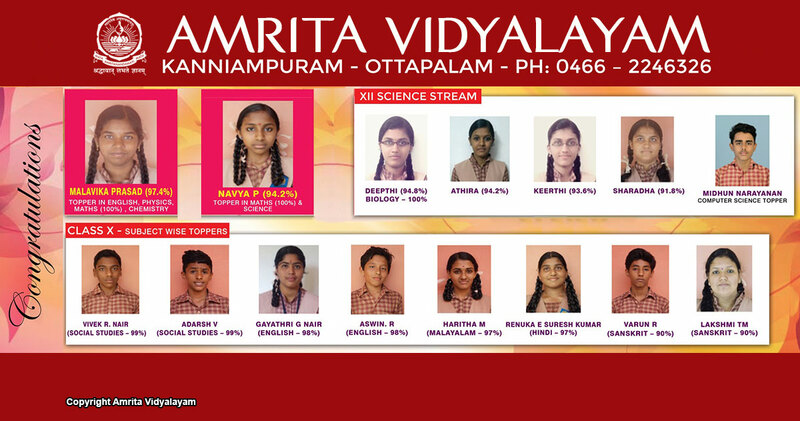 Malavika Prasad of Class XII scored centum in Mathematics. She is also the topper in Chemistry with 99% marks. 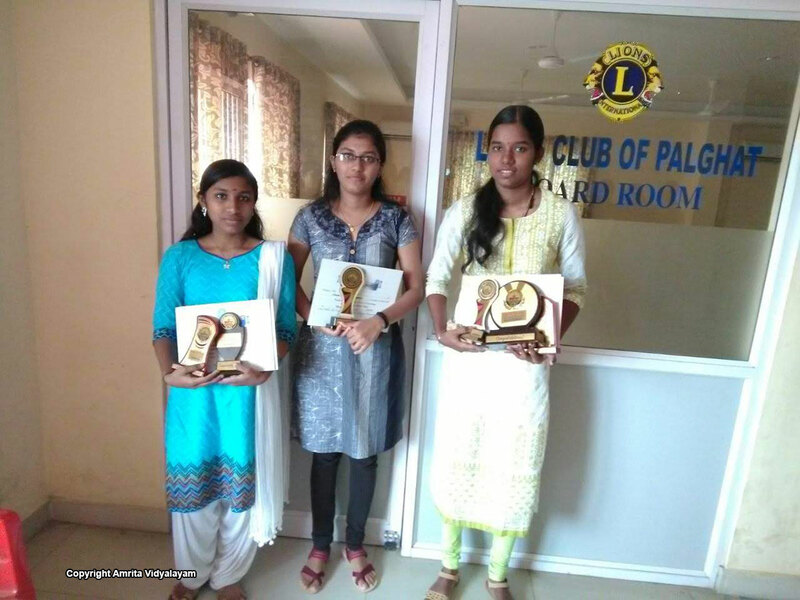 Deepthi of Class XII secured centum in Biology, and Navya P. of Class X scored centum in Mathematics.